Well….. It’s been months since I have written an interactive/ metaphorical post. For I have been rather busy uploading my fanfiction story here…. But, never mind! Because for the first time ever, I am publishing a post which isn’t completely my own. This post is actually the brain child of my cousin, who has only just started her blog (thanks to my relentless pestering) and had actually sent me this post for ‘editing’. I, was kind enough to do the same (and more). She was delighted with my work and offered me the copyright to post her creation + my modification on my blog. Anyways, it’s the first time that I am doing this. A joint venture. So I’m not sure how you guys are gonna take it. But I hope that it atleast qualifies as ‘acceptable’. Oh and BTW, pray do visit and follow her blog site too! It’s titled Prayukti , meaning motivation. Now, before we get to my cousin’s article, let me make something absolutely clear. 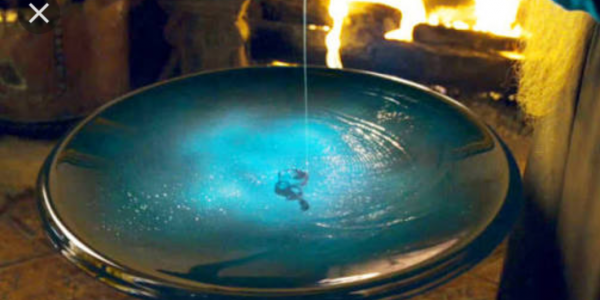 This blog post DOES NOT teach you how to make a ‘conventional’ Horcrux. Yet I promise you that by the time you reach the end of the article, you will realise that how mundanely easy it is to do so the ‘Muggle’ way. A Horcrux is an object in which a Dark wizard or witch has hidden a fragment of his or her soul for the purpose of attaining immortality. Okay. So basically what it means is that you hide a part of your soul in a foreign object such that in an event that your body perishes, you still remain alive in some form, hidden inside an object. Until now, we all believed that the only way of doing this was by committing a murder, the ultimate act of crime. My sister, however, had a pretty unique way of looking at it. According to her, Horcruxes are something that even we, as Muggles can create with ease. And not just one. Or even seven for that matter. But hundreds of them. Let’s understand that by delving into my cousin’s mind! (Though) People leave you and walk away, they often keep a part of themselves in us. And this statement was exactly what inspired me to write this. We all live in a society. And that obviously involves interacting with people on a regular basis. Amongst them are few whom we love, a few whom we hate and many whom we simply ‘like’. We spend some of our time with them. Then be it a class, an office, a lab, or maybe even a small journey. And that’s how we slowly start making our place in their heart. Even if we spend a single day with a person, then be that day the best or the worst day of our lives, our brain usually tends to remember that. And that’s exactly what I mean when I say that we stay alive in the other’s heart. We can do it by the simple act of spending some quality time with them. And amongst the many who have found a place in my heart, I would like to mention one who stands out in particular. Simply because all that we shared was a single train journey. From Goa to Mumbai. Apparently, she was traveling along with her father as they were returning from their trip to Goa. And as we were in the same compartment, we began interacting with each other. For obvious reasons, I won’t reveal much of her identity, except for the fact that she was a bank manager in a renowned government bank. Yet she was currently single. And of course, like all ‘typical’ Indian aunties, my mom asked her the reason behind it. “Kaku (Aunty), I am the only child of my parents. They are the ones who taught me to be independent and made me who I am today. I was married once. But then, my mother took ill. And to my surprise, my in-laws didn’t allow me to go to the hospital. Because according to them I had cousins who could very well take care of my mother. And since I am married, I shouldn’t be involved in this. This came quite as a shock to me. Because it was really a matter of deep shame if I couldn’t help my parents in their time of need. I left that place (in-laws’) to never return. Unfortunately though, my mother succumbed to her illness last year and now it’s just me and my father. He really wanted to go to Goa since then and hence I planned this trip for us. It’s usual for us to go on such trips. Because, I just want to see him happy. He has given me his love, his time, money and literally everything back when I was a kid. So now it’s my time to return the favour. He always tells me that I should get married again. But I’ll marry a guy only when he thinks of him (my father) as his dad as well. In fact, I’d really want to marry an orphan so that at least he’ll be understanding and would love my father the same way. Her reply made me think about my future and my decisions too. And even today, I still admire her. I don’t know where she is or what she is doing . In fact, I really don’t know anything about her except her response which has still kept her alive in my heart. Any Harry Potter fan must be aware of the fact that Lord Voldemort had made Horcruxes. And not one, but seven of them in fact! By committing the ultimate act of cruelty. And yet here we all are. All of us alive in someone or the other’s heart without even realising that we too, in a way, are making Horcruxes! Latching fragments of our souls with hundreds of such people, such that we remain alive in their hearts forever. To live long one doesn’t need any magic. (Because) The secret of a long life (amaratva) lies in the art of true love…. Isn’t that a pretty unique way of looking at it? Maybe that was why Dumbledore always believed that love was the most powerful magic of all. For he knew that after all, it was the only way one could ever be truly immortal. Well…. That’s it! I hope you liked our debut attempt at a collaboration. And know that we’ll be eagerly awaiting your feedback! Wonderful! Just wonderful! I really liked the language you started with and then the narrative that this post transformed into. Also, what a beautiful story! The thinking behind this post is simply marvellous and we need more people in this world who can think like your cousin. She would make a wonderful writer. You are truly welcome my friend. And I will definitely do my best to not let you down. I’ve just read that post and it’s absolutely great. It really is very interesting. However I do not think that a horcrux is the same as what your cousin described. A horcrux lives part of the soul in an object not a memory. That’s all I wanted to say. Yeah I do agree with you that the Horcrux my sister has come up with is not the same. That’s exactly why I said that it’s not a conventional one. The basic idea here is to address the philosophy behind creating a Horcrux. Why do dark wizards do that? :- To be immortal. Well, then why can’t we do that simply by affecting people’s lives in a positive manner? And living in their souls even after our physical form perishes. Then be it in the form of only a memory. Thank you again though! For I really appreciate constructive criticism. Didn’t Dumbeldore even tried to be master of death by collecting Deathly Hallows? This is also an act he once thought for kindness of both muggle and wizarding world. Aww very sweet. I just re-read the series and I love hp world. I loved how your sister turned something so dark as Horcruxes into this beautiful concept of living forever as a memory. And I really loved that last quote she mentioned. Great post! Looking forward to more collabs! Hey, as long as it’s your post, I agree to read it no matter how long it is. I may not read it right away but I will. Yes, the story. I think I left it on Choices and Consequences. Will read it tonight itself! Sorry, I left it on Paris.